One of man’s basic quests is to make himself a space – both personal and professional. Be it the place where he endeavors to earn his daily bread or the place where he puts his head down to sleep. This quest should get every bit of respect and seriousness that it deserves. This is the fundamental philosophy based on which bSafal was created; and the same philosophy still continues to guide the organization and its employees. Safal Construction Private Limited took shape in 1994 as a result of one man’s dream and passion- Mr. Rajesh Brahmbhatt, a Civil Engineer with a youthful zeal to create residential and commercial spaces that exceeded consumer’s expectations. bSafal has assembled one of the finest teams of real estate professionals.Their collective experience combines a hands-on management style with a strategic approach to acquisition, planning , development, sales and maintenance , ensuring the firm’s continued leadership for years to come. They are committed towards the customers and stakeholders – to help them realize their quest for space, to their promise by creating residential and commercial spaces which exceed their aspirations in terms of quality, amenities, structure, design and value. 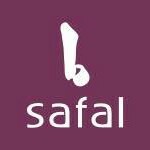 The creators of bSafal believe that every project, irrespective of its size, is vital and is central to the cause of exceeding the aspirations of its stakeholders. bSafal embodies the spirit of commitment and promise towards its customers and stakeholders – by creating spaces which are exemplary and industry benchmarks in terms of quality, amenities, structure, design and value for money.